Farewell Dinner Menu from the M.S. 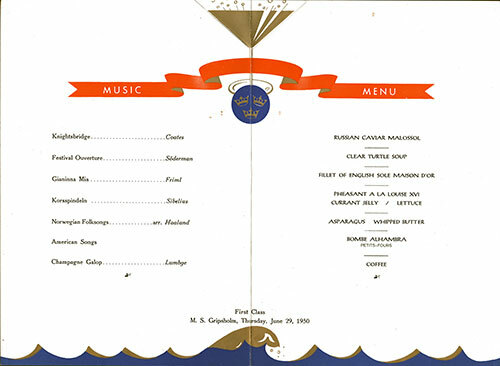 Gripsholm of the Swedish American Line for Thursday, 29 June 1950 featured Pheasant à la Louis XVI and Fillet of English Sole Maison D'or. Preparations went on all the afternoon in the dining room of the "Graf Waldersee" of the Hamburg-American Line for the Boat-Captain's Dinner. 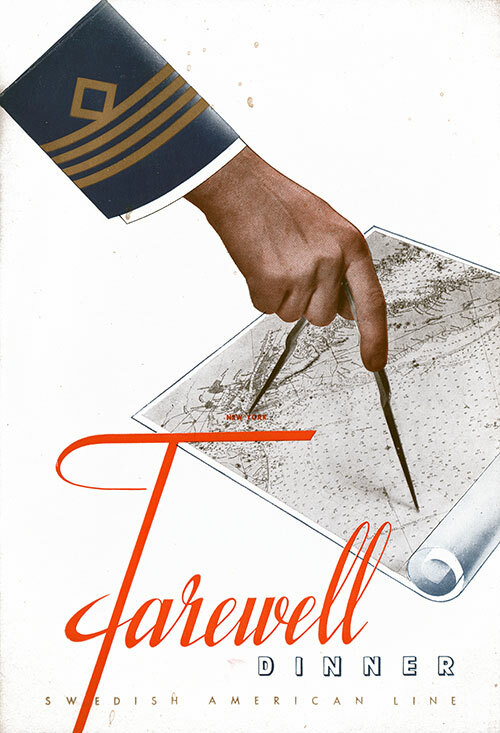 The "Captain's Dinner," by the way, given just before the end of the voyage, is always quite a grand affair.